Economic uncertainty will continue to be the biggest factor impacting the global meetings industry over the next decade, according to the Imex Power of 10 Study, revealed at the Frankfurt show today. 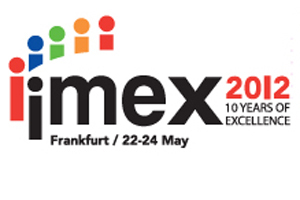 The report, conducted by Fast Future Research on behalf of Imex to mark the show’s 10th anniversary, found that over two-thirds (71%) of survey respondents said that global economic instability would be the biggest external trend affecting the industry over the next ten years. Almost as many respondents (65%) said that economic factors had had the greatest impact in shaping the meetings industry globally over the past decade. Looking ahead, other trends expected to affect the global meetings industry are improved quality and costs of technological alternatives to live meetings, according to 49% of respondents; shorter and faster business cycles (47%); and growing Asian political and economic influence (46%). Meanwhile, an overwhelming majority (91%) believed the key focus for the industry should be focusing on providing tools and proof to demonstrate tangible ROI of events. The key priorities for the development of the live business events industry over next decade are increasing the level and quality of strategic thinking and long-term planning, according to 54% of survey respondents, positioning the industry as an engine of economic growth (53%), and proving the long term and broader economic impact of meetings. The study includes insights from over 100 interviews with leaders and innovators froma across the industry, along with the results of a global survey which gathered feedback from 765 respondents in 68 countries worldwide. The full findings of the research will be released in six sub-reports over the next few months.